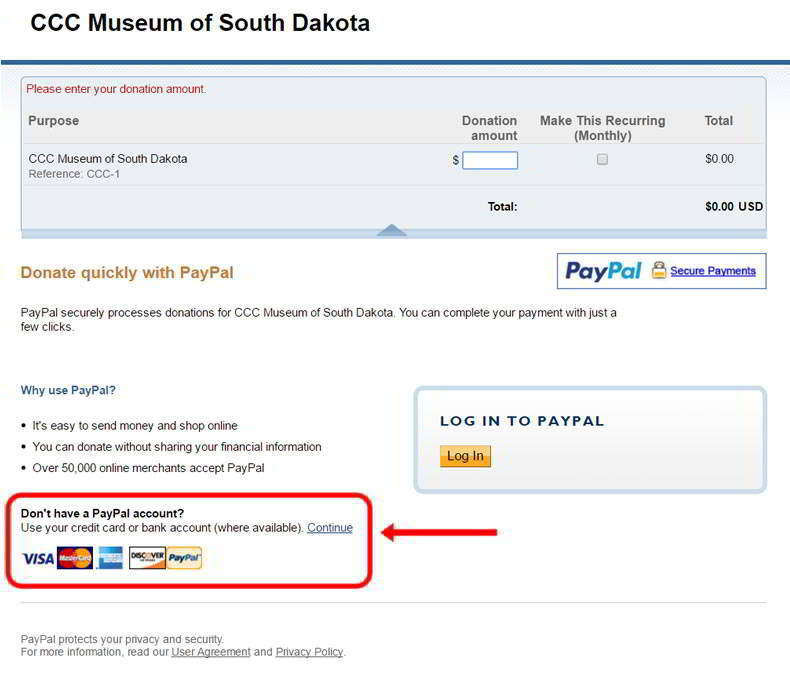 If you would like to make a donation by check to the CCC Museum of South Dakota you can print this form and mail to the address provided or make your donation when you visit the museum. 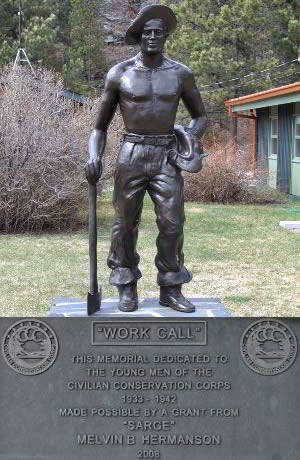 The Civilian Conservation Corps Museum of South Dakota is located 23935 Hwy 385, Hill City, SD 57745 in the Hill City, SD Visitor Information Center in the heart of the Black Hills. Make this museum part of your travel plans. Close to 1880 Train and Museum, Mount Rushmore, Crazy Horse, Wind Cave National Park, Jewel Cave, Custer State Park, and many many more attractions! You do not need a PayPal account to make a donation by credit card.